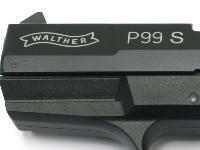 Made to precise specs, this magnificent replica gun is exact in almost every way to the original Walther P99. Shoots blank ammo. 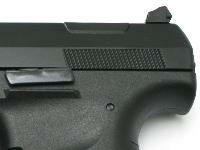 NOTE: This replica gun cannot be converted to fire live ammo. 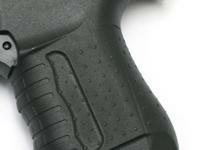 The barrel is plugged and has a red dot at the end in compliance with ATF regulations. No federal license required. Things I liked: Great Quality. Lots of fun to shoot. Makes for a great training tool. Things I would have changed: FRONT FIRING WOULD BE GREAT!! Can't stress that enough. The only reason I'm giving this 3 stars under "Value for money" is that I feel it's made of pretty cheap materials. The grip and frame are okay but the barrel just about feel like one notch above plastic. This is my second blank gun.. I also own an Ekol Cougar and that's the only thing I have to compare the Walther P99 with. 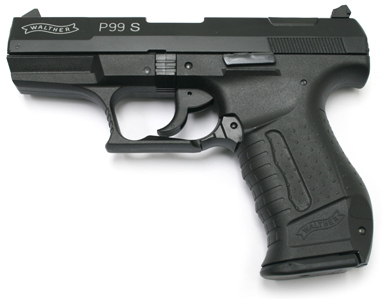 The Ekol is definitely made of much stronger materials and when I compare the barrel of the Ekol Cougar and the Walther P99, the P99 comes up very short. Keep in mind though that it does work just fine and does exactly what it's supposed to.. I just would have appreciated better materials for the price of this gun. 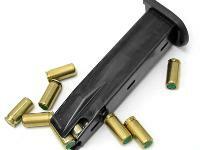 What others should know: This blank gun (as others can be) is extremely loud!!! Make sure to wear hearing protection when firing this gun. 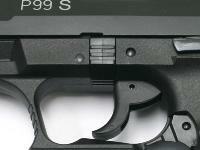 It's lots of fun and I highly recommend this P99 replica for training and learning purposes. And lastely, again, I can't stress more that I wish that Walther would come out with a front firing version of the P99. Things I liked: feels and looks great! 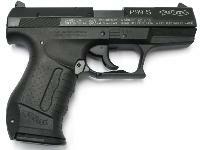 I bought this as a training pistol for my wife and it works good as such, and much safer than a real pistol to learn with.